NetSupport Manager Remote Control is award winning Remote Control and cross platform PC management software. Featuring unique screen monitoring in realtime of multiple systems, Remote Control, Audio support, PC inventory and diagnostics, file distribution, chat, messaging and much more. NetSupport Manager Remote Control requires pre-installation of both the Client ( Host) and Control ( Remote) components prior to use. ...... Installed on almost 9 million systems worldwide and Network Computing magazine software product of the year, PC PRO labs winner, Redmond Magazine "Best of the Best" winner and Network World "Clear Choice" award winner. NetSupport Manager Remote Control requires pre-installation of both the Client ( Host) and Control ( Remote) components prior to use. 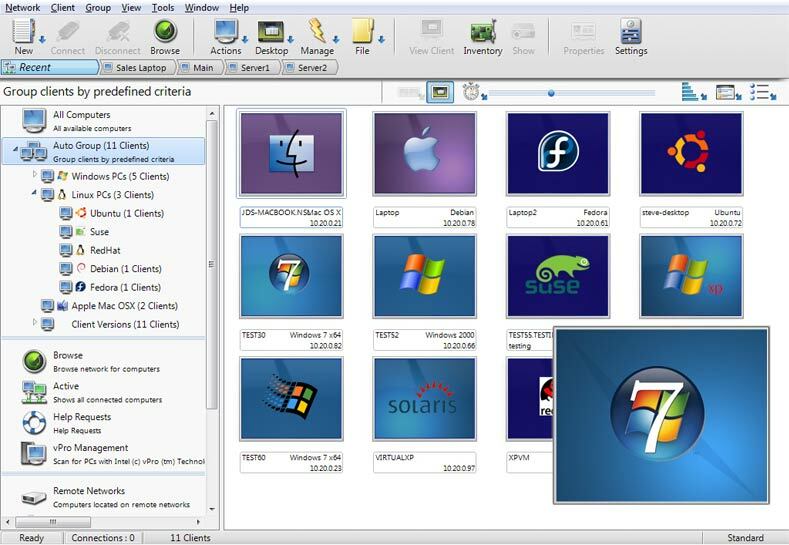 The latest evolution in Remote PC support and desktop management. Monitor multiple systems in a single action, deliver hands-on remote support or interactive training. Gather real-time inventory and system data. NetSupport Manager Remote Control provides the ability to support Windows, Mac, Linux and mobile devices all from a single console. Qweas is providing links to NetSupport Manager Remote Control 11.01 as a courtesy, and makes no representations regarding NetSupport Manager Remote Control or any other applications or any information related thereto. Any questions, complaints or claims regarding this application NetSupport Manager Remote Control 11.01 must be directed to the appropriate software vendor. You may click the publisher link of NetSupport Manager Remote Control on the top of this page to get more details about the vendor.